← How to Get a 2 Year Old to Ski. I have been known to walk (knee-deep) in the turquoise waters of Hawaii, bent in half, with my face in the water for approximately three seconds and then shrieking when a fish swam too close. Go ahead, laugh. It was a ridiculous fear. I blame my powerful imagination, watching Jaws, and all those years of playing Sharks and Minnows in the swimming pool. It wasn’t until I became dive certified (I believe in facing fear!) that I overcame it all. Needless to say, afraid of fish or not, snorkeling comfortably means being a strong swimmer. UNITL, my Mom discovered the world’s greatest kids’ snorkeling/open water swim support system at, you’re not going to believe this one, Rite Aid- of all places. This mesh floating inflatable ring is the perfect way to give our daughter the independence she wants while also giving her the safety and comfort we want. The Spring Float encouraged her to swim on her own and when she wanted to look at the fish, she could comfortably dip her head in the water and check out the action below. The best part is, we could leave her at the surface, dive below to find a starfish and bring it back up for her to touch. Watch my one minute video tribute to our new favorite kid-friendly snorkeling gear. Get this thing and get snorkeling! 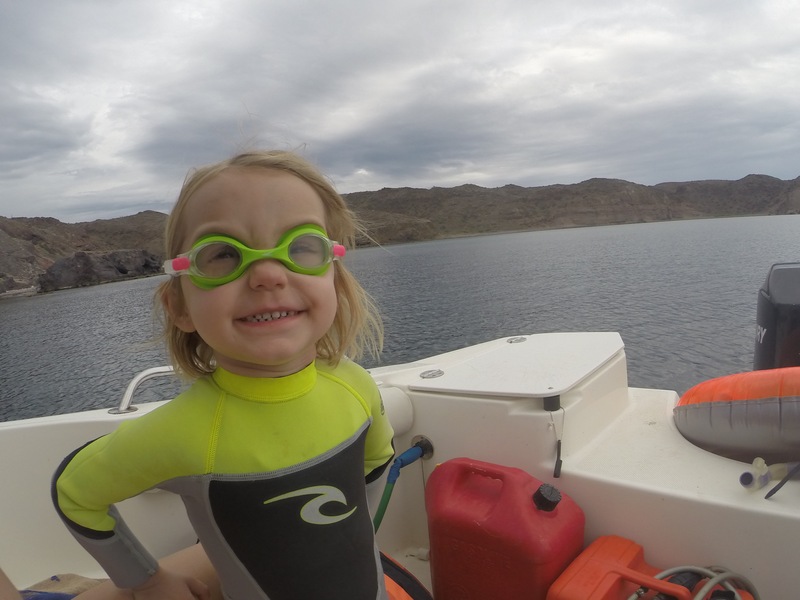 This entry was posted in Activities, diving, Gear We Love and tagged baja, snorkeling, swimming, toddler. Bookmark the permalink.